Making sure your associated physicians are able to benefit from the popularity of the Internet is very important. Everyday physicians are presented printed material or information that patients locate on the Internet. If your physicians do not have an interactive research hospital website to refer patients for research, then you might alienate some of your doctors and their patients. FastHealth research programming gives doctors an incentive to refer patients to your hospital website. This action creates benefit to the entire group of associated hospital physicians as patients from many practices reference your hospital website for information. The hospital can easily edit and maintain physician websites with FastHealth physician administrative tools. Every hospital needs to maintain its intermediary roll in online healthcare just as in facility healthcare. Our software allows current physician info to be located through your hospital website. Changes can be made instantly by non-technical employees. 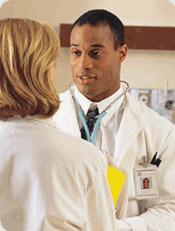 Making appointments with physicians is quite advanced with FastHealth software.